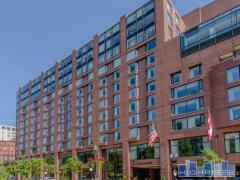 Tremont on the Common is a full service building featuring 24-hour concierge, heated pool, exercise room, steam room, sauna, onsite management office, & dry cleaners. Onsite garage parking available for rental and for purchase. Have any comments or questions about Tremont on the Common? Ask your question and/or share your thoughts about this Building.